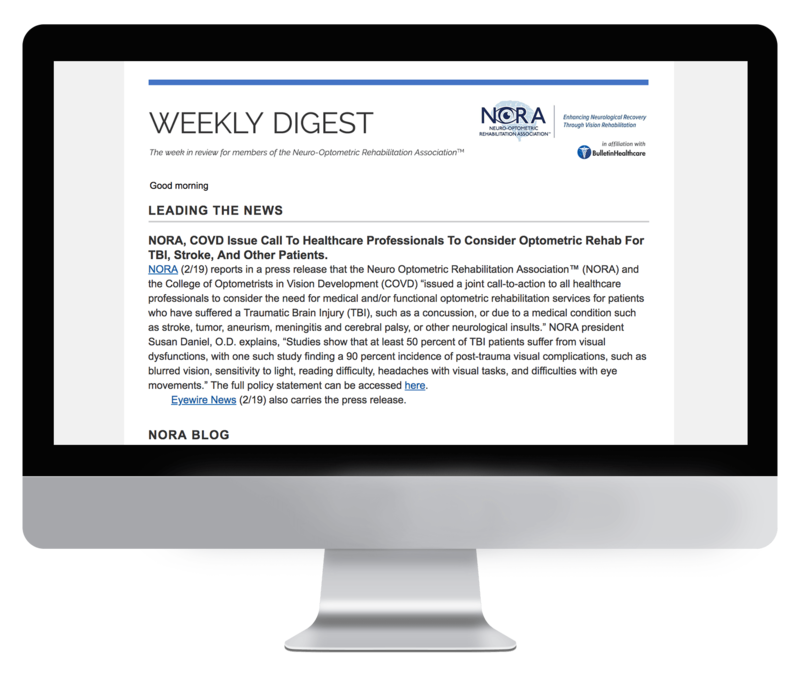 NORA Weekly Digest is a briefing of the Neuro-Optometric Rehabilitation Association. It is delivered every Wednesday by 9 a.m. EST. The Neuro-Optometric Rehabilitation Association is an inter-disciplinary group of professionals dedicated to providing patients who have physical or cognitive disabilities as a result of an acquired brain injury with a complete ocular health evaluation and optimum visual rehabilitation education and services to improve their quality of life. 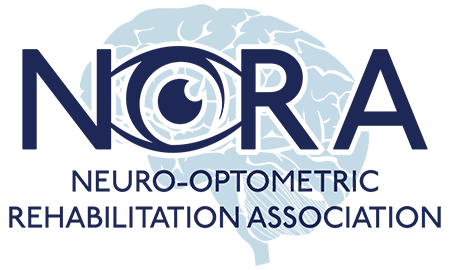 NORA Weekly Digest is sent to NORA members and others interested in neuro-optometric rehabilitation. If you would like to receive this briefing, please e-mail NORA, subject line: NORA WEEKLY DIGEST and provide your full-name, e-mail address, and city/state and country at info@noravisionrehab.com.